Each year, the Catholic School Council undertakes fundraising initiatives to raise money for school activities and materials to enrich our students’ experiences and learning. This year’s fundraising drive, themed “Survive the Christmas Rush” involves sales of poinsettias, cookie dough, stocking stuffers from QSP, or through the Prince of Peace Direct Donation Campaign. Please click here for the fundraising information letter. Click here for the poinsettia order form and poinsettia photo of sizes. Click here for information on the Prince of Peace Direct Donation Campaign. Please note that the QSP order form and envelope is available in hard copy only and went home with every student on Friday, November 2nd. The deadline for orders returned to the school is Tuesday, November 13th. Orders will then be available for pick up at the school on Dec. 6th, a reminder notice will be sent home closer to that time. 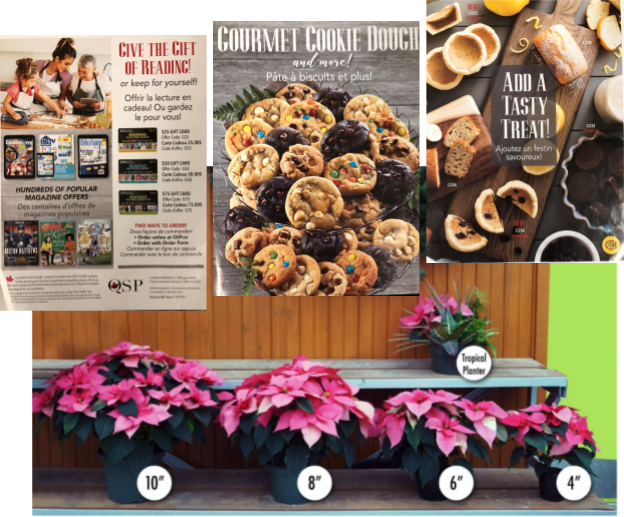 If ordering QSP products such as cookie dough, magazines or the York Region Community Savings Pass online, please visit http://www.qsp.ca and enter the Prince of Peace’s Group ID number 3725942 to get started.